When he ran with the old machine! It has always been a source of wonder and admiration with the public, how it is that the Old Firemen continue to maintain that esprit de corps so noted in the days of the late Volunteer Fire Department, so entirely their own and unknown in other bodies; it is a fact and difficult to explain, for they certainly do retain a warm place in the hearts of the country which time appears rather to increase than diminish. Since its earliest days the Volunteer Fire Department has embraced among its members the very best classes of our citizens, and to-day they can be found throughout the walks of life of the entire world, still cherishing the same fraternal feeling for their old institution. 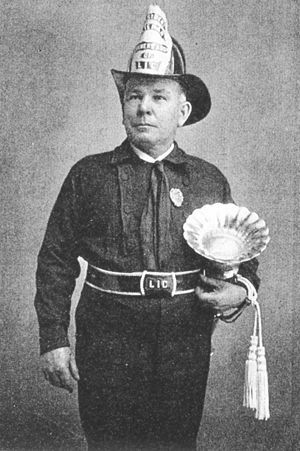 Ministers to Foreign Countries, judges, Mayors, prominent officials of all kinds, have once been Volunteer Firemen; their Exempt Certificates, occupy a prominent place in their homes, and cherished as proud mementos of the stirring and hazardous days of a Fireman, so fraught with danger as to be almost a fascination. There can be no question in these days that the work of the Volunteer Firemen in the past is becoming better appreciated as the years pass by. This recognition of their true worth has come somewhat late, it is true, but we, who are survivors of many a hard-fought battle to save life and property, feel glad that it has come. Our only regret at this time, while celebrating the Twenty-Fifth Anniversary of our Association, is that those of our comrades who have answered the final roll call cannot be with us on this occasion. But their memory remains enshrined in our hearts, and their good deeds, their loyalty and their grand manhood will never be forgotten. 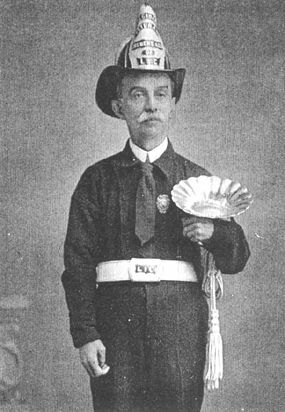 GEORGE WASHINGTON AS AN ACTIVE FIREMAN. The History of the rise and progress of New York, will be borne out by the facts we present. 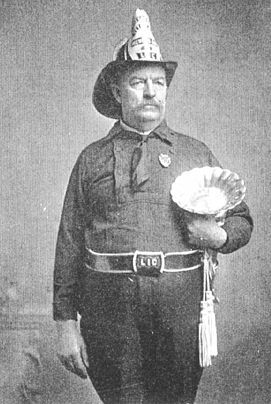 We will bring to light, among other important things, one interesting fact that had been forgotten or not generally known--the fact that the Father of his Country had enrolled himself as a Volunteer Fireman. George Washington, who was as zealous in the discharge of his duty as a private citizen as he was eminent and efficient in public life, became an active fireman in Alexandria, Virginia, about the year 1750. He was then but eighteen years of age, and resided with his brother Lawrence at Mount Vernon, several miles from town, which lie visited "on horseback as often as ten times a week." As a young man he took an active part in all the affairs of the growing place until it became an important colonial city. Besides his firmness of character, his love of active pursuits, his passion for horsemanship and all manly sports made him a natural leader among the young men of the town. It is related that he was always one of the foremost to assist in putting out fires, riding even from Mount Vernon to be present at one. As Alexandria increased in size, the principal citizens began to organize for protection against fire, and the town record 'shows that they each agreed, out of "mutual friendship" to carry to every fire "two leathern buckets and one great bag of oznaburg or wider linnen." This was the primitive colonial mode of extinguishing flames. about their shoulders. Instead of billies they carried quaint-looking weapons called spontoons, something between a spear and a halberd. These antique weapons were left behind in store at Alexandria by General Braddock's troops in 1755, when they marched on their disastrous expedition to the West. The spontoons were appropriated by the municipal authorities, and, strange to say, were still in use by the watchmen when the provost guard of a Michigan regiment, in the summer of 1861, relieved these obsolete guardians from further duty. of his horse to his servant, he leaped off and seized the brakes, followed by a crowd that gave the engine such a "shaking up" as it never knew afterwards. The Veteran Firemen's Association is almost entirely made up of men who were identified with the volunteer companies that were located in Astoria, although there is now an honorary roll cornposed of prominent business men and residents. On January 20, 1890 a meeting was held at Casey's Hall, 157 Fulton Avenue, Astoria, composed of those who had served their time in the Volunteer Fire Department of Long Island City. The object of the gathering was to discuss the advisability of forming a Veteran Association. The meeting was largely attended and the project met with enthusiastic approval. 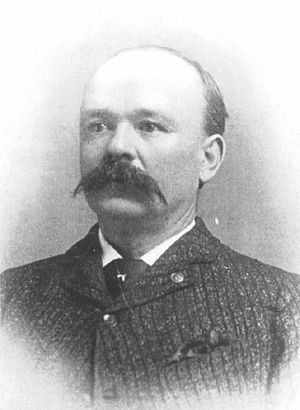 George Casey acted as Chairman and A. C. Woods as Secretary. A committee was appointed to secure a charter, and it consisted of Thomas J. Murphy, B. J. McGowan, William N. Mason, James H. Kelly and George Chown. It was decided at this meeting that the new organization should be known as the VETERAN FIREMEN'S ASSOCIATION or LONG ISLAND CITY. 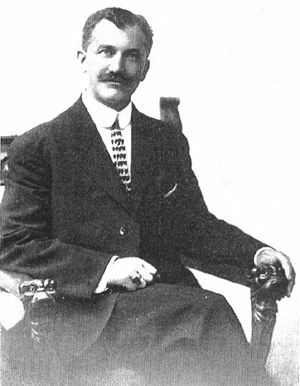 At a subsequent meeting February 5, 1890, seven members were appointed to act as incorporators. The committee comprised William Y. Mason, Michael J. Reidy, William N. Mason, John E. Healy, James M. Rage, Matthew E. Kelly, Thomas J. Murphy. Only four members of this committee are alive today. official documents were signed, sealed and delivered on March 20, 1890. The early history of the Veterans was indeed most interesting. For nine years we struggled hard for existence, paying the funeral expenses of deceased members by personal assessments levied against the living members of the organization and contributing as far as our limited means would permit to the relief of the distressed widows and orphans of those of our members who had answered the last roll call. But as the years progressed the financial condition of the Veterans' organization became greatly improved, and we were enabled to purchase two lots on Grand Avenue where we erected a plain and unpretentious building which now serves as a headquarters and in which is stored many valuable and interesting relics of the "old days" when the "boys" were ready at any time of day or night to respond to alarms for the protection of life and property. There was no thought of reward or pay in our ranks for the dangers we incurred. We were content with the knowledge of duty well and faithfully performed.